A lovely post Bonnie. 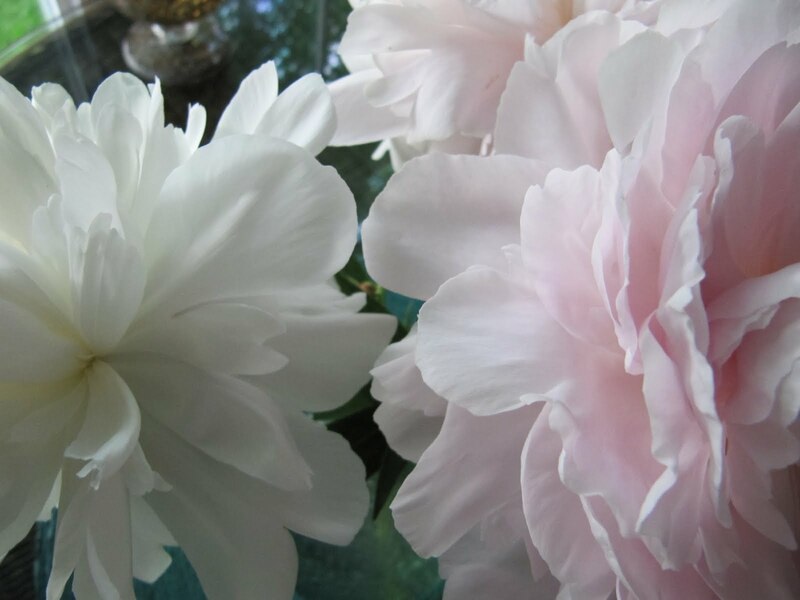 Aren't those peonies gorgeous? a beautiful thought for this saturday morning...an pretty picture to go with them...i will unfold today thouh the ant chew at me...smiles. so beautiful and so powerful your words in poetry - in tribute to nature in all it's mysterious wonder and truth. "Thank you"
What a beautiful poem! Love those pictures, too! My mom used to say that the ants are the ones responsible for opening up all the buds. 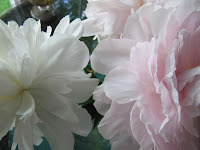 I just remember having to "shake" the peonies before bringing them into the house; otherwise we'd be sure to have ants crawling across the table! LOL! 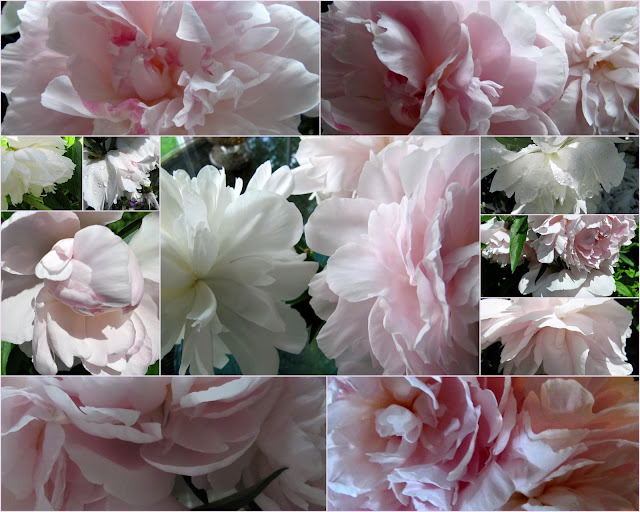 Gorgeous - poetry and peonies. Thanks, Bonnie. Lovely poem and images to go along with. Are you shooting these photos with the new gear? how has it been coming along for you? Hey Gary - most of the shots in that collage are from the Canon point and shoot - a couple are from the Nikon SLR. Frankly, I am disappointed and have not picked up the camera in two days. Decided painting was more rewarding for the moment. than to p on me! Beautiful flowers.. your garden is a treasure. Oh that Mary! nailed it again! Our peonies are just beginning to burst and the ants are abundant!They used to freak me out, moving and crawling madly, like punctuation in a frenzy....As long as they stay on the peony I am fine with them.When they march single file through the kitchen - I do have to ask them to leave. have you read Peony in Love by Lisa See?